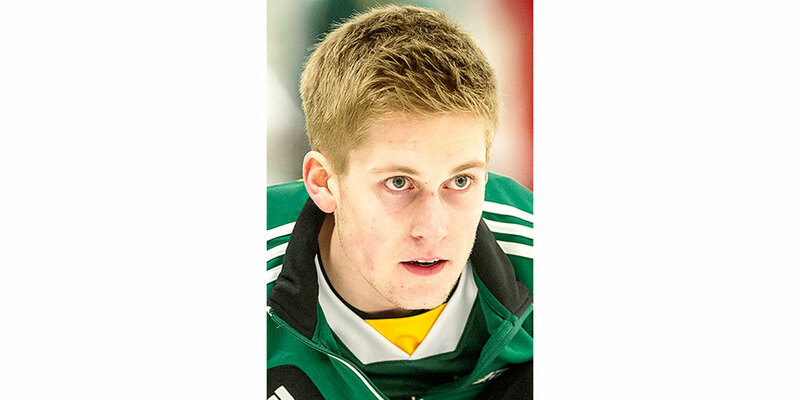 Thomas Scoffin is one of 10 young curlers being recognized by the sport’s national body this week. The 21-year-old Whitehorse native corralled a 2015 Curling Canada Foundation Scholarship, worth $1,000, it was announced Wednesday. The scholarships – funded by Canadian curling donors and supporters – are aimed at helping young university and college students cover a portion of their education and curling costs for the current school year. “The support of curling fans made this possible,” said Rachael Wilson, Curling Canada’s director of fund development. Recipients were decided by a panel who looked at both academic and curling achievements, as well as demonstration of commitment to building the sport through coaching, instructing or other volunteer activities. A total of 60 applications were received from across the country. “This was not an easy decision because we had some wonderful applications that showed a wide array of talent, both on the ice and in their fields of study,” said Emma Miskew, vice-skip for Team Homan, and member of the selection committee. Last season, Scoffin capped another fine year with a Canadian Interuniversity Sport (CIS) championship, leading the University of Alberta Golden Bears past the host Laurier Golden Hawks 6-4 in the men’s final. For his stellar performance, Scoffin was named to the second all-Canadian team. He skipped both the junior and senior men’s rinks last season to cap his final year of junior eligibility. Prior to that, the Yukoner compiled a fine junior resumé, appearing in a record seven national junior championships as a skip – six times for the Yukon and once for Alberta.